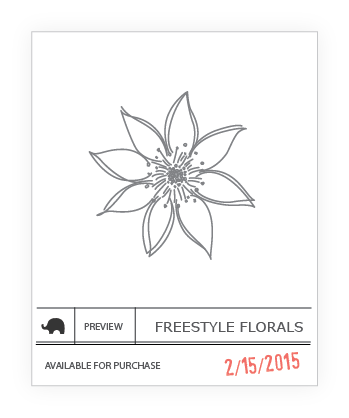 mama elephant | design blog: NEWS FEBRUARY STAMP PREVIEWS! Time for new February previews! We're still playing catch up with our last release, so thank you for the tremendous support you've given us! Please be sure to support all your favorite retailers worldwide who carry Mama Elephant as well! The first set we are sneaking pays homage to the upcoming Mother and Father's days in May and June respectively. Bear Hugs is a highly versatile and heartwarming set that is perfect for those occasions and much more! The images Angela illustrated will make you feel all warm and fuzzy inside! We haven't done a cool border set in awhile! 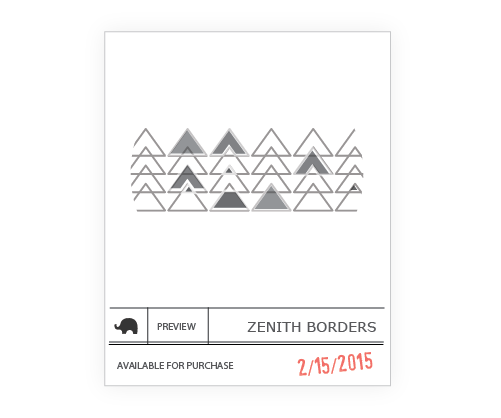 We're happy to introduce Zenith Borders which holds so many possibilities. We've included all these little personalizing options, you can really go crazy with coloring and stamping with this one! Like what you see? What are you most excited about? Yesterday we announced our participation in True Stamp 2015. It's a really fun take on the traditional online classes as there's live video interaction with the instructors as well as other students. I think it's a really great way for the crafting community to really come together for a full day of inspiration and fun! Last year there were a ton of exclusive discounts and giveaways from each company too! ME will be using lots of new products too, so come join us! Sign up for True Stamp 2015 HERE! How It Works: On March 28, six instructors will share high-def video classes with you, live, in our state-of-the-art webroom. By signing up for True Stamp 2015, you’ll receive exclusive access to our private webroom where you can hang out, be inspired, and connect with hundreds of other fanatical stampers, just like you! This is the ONLY event of its kind in the world where you can learn from the best and most inspiring stampers and papercrafters, LIVE, right from your own home. And yes, everything is recorded so you won’t miss a thing – even if you have to take the ferret to his Irish step dancing class! You’ll receive full access to all the classes, the pre-event PJ party on Friday night, and the digital goodie bag, all for one low price. If you still have questions, just email us at lain@layoutaday.com! If you want, you can check out last year's True Stamp 2014. Each one hour class is only $12.95! I love Bear Hugs and Three Amigos! So cute! Bear hugs is the CUTEST! AAAHhhh that bear hug got me how cute is that? The "Three Amigos" has my name written all over it!!! Like what I see...are you kidding...LOVE IT! My favs so far is Bear Hugs and Three Amigos! Three Amigos and the border stamp look good to me! Loving the sneak peek... can't wait to see more! Oh, the bears and Three Amigos---I'm in love! Oh my gosh....I am SO STOKED for Three Amigos!! That one looks like it's going to be SO MUCH FUN!!!! It all looks great!! I love the bears - so adorable! All of these sneak peaks look amazing!! 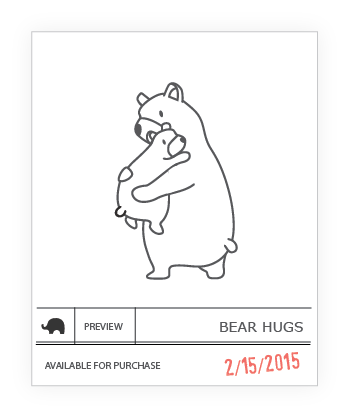 I'm especially excited about the Bear Hugs and Three Amigos sets! Super cute sneak peeks....love the bear and the 3 amigos!! All of these look so fun! LOVE the Bear Hugs...looks absolutely adorable. REALLY EXCITED FOR BEAR HUGS!! Oh my... I can't choose! All of the above -lol!!! 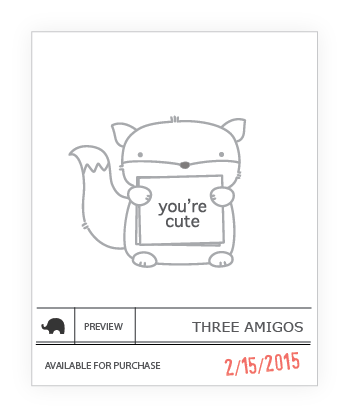 I really like the "Three Amigos" and I hope dies are available too. I can't wait to see the three amigos but they all look great! I'm in love with Bear Hugs!!!!!!!! !